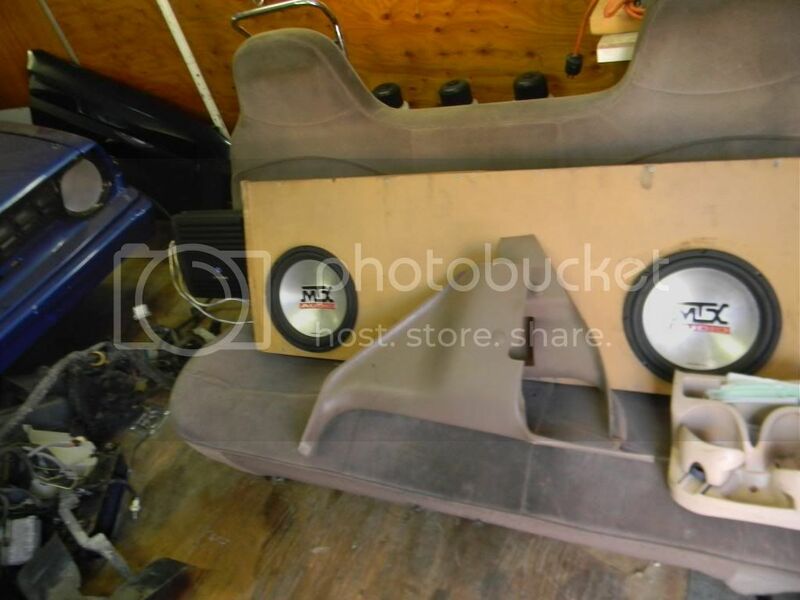 I'm looking for a sub box for my single cab, didn't really find any thing to helpful. Is their any box that will fix behind the seat? Also pcs would help alot. Just looking for any type of sub box that would work. Open to suggestions. Bench or 40/20/40? Either way mostly on your own with either. I have 40/20/40 seats with fold down center and built a box behind the passenger seat. Benches ate TIGHT but I've seen it done. 97 F350, 300/200, GT4202R, Twin Walbro's, sumped F26E tank, built E4OD, ISSPRO gauges. Pretty much, I had a hard time stuffing my carhart bibs and coat back there much less a sub. About the only place thats realy open enough is over the hump in the middle on the floor, which I've seen done tastefully. Down firing, with slot ports to each side, and cup holders built into the top, with various storage bins etc. Check into kicker. They have shallow mount subs with a built in amp for this reason. I have never run one but have been looking into it. The price they are dosent seem to bad. Anybody got any measurements on a box for one of theses trucks? I had one built years ago. 4 10" subs, fit perfect and don't affect my leg room, I'm 5'8". I know this is old, but I'm new.